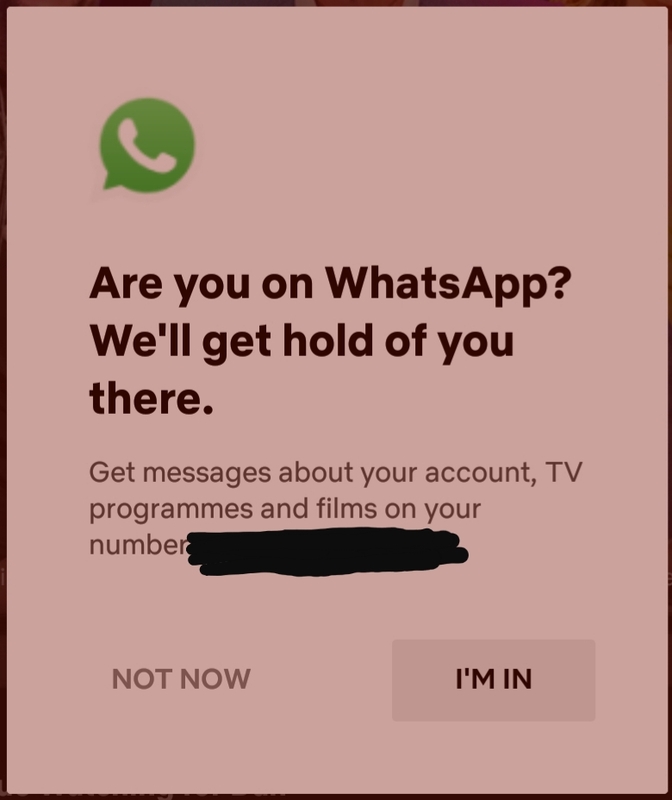 No, @NetflixUK, I don’t want you to WhatsApp me. I never want you WhatsApp me. Why do you ask me every time? No means no.